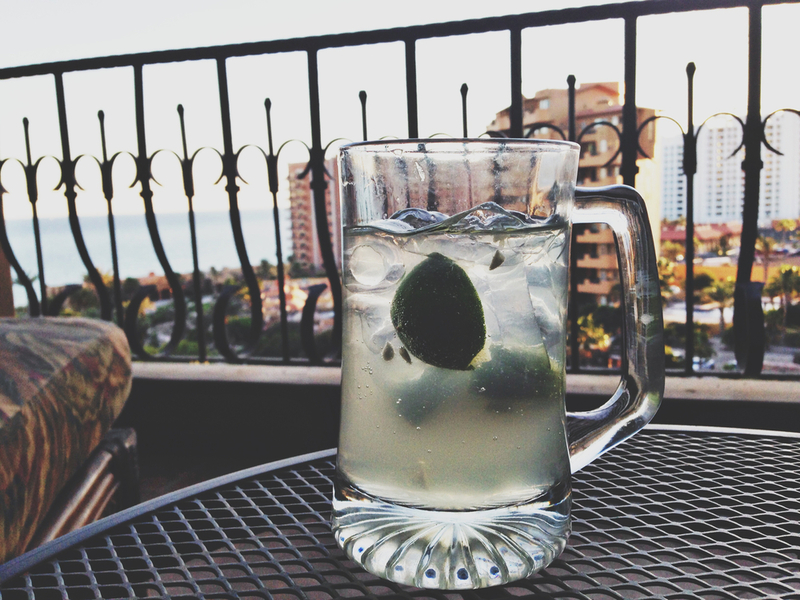 The “drink of the weekend” this last weekend while in Rocky Point was a Moscow (or Kentucky) Mule. It isn’t a margarita but went very nicely with all the mexican dishes we ate. I’m not a huge cocktail person. I’m usually happy with a vodka soda with lime. I don’t like super sugary drinks in general so this is a nice compromise and everyone loved it. Add vodka to a glass with ice (traditionally they are served in a copper mug), fill with cold ginger beer and add a squeeze of lime. A Kentucky Mule is the same just sub whiskey for the vodka. The guys had Kentucky’s the girls had Moscow’s. If you’re not familiar with ginger beer it’s non alcoholic like ginger ale but it’s brewed. Hi. I just found your blog listed under a bunch for Project Life Inspiration. I live in Phoenix too lol. I’ve never had the drink, but I have been to Rocky Point. I look forward to reading your blog posts.